Archelaus was a Roman client prince and the last king of Cappadocia, ruling from 36 BC to 17 AD. After Archelaus assumed the Cappadocian throne, his royal title was in Greek: Ἀρχέλαος Φιλοπατρίς Κτίστης, Archelaus Philopatris Ktistes. Philopatris Ktistes, means in Greek lover and founder of his country. His royal title is known from surviving inscriptions; in particular from coinage. Archelaus was an ally to Marcus Antonius, until his defeat at the Battle of Actium in 31 BC, where Archelaus had deserted him and became an ally to Octavian. When Octavian became the first Roman Emperor Augustus, Archelaus became an important client monarch to Rome. In 14 AD Augustus died and Tiberius succeeded his adoptive father as Roman Emperor. By this time, Archelaus’ health was beginning to fail him. 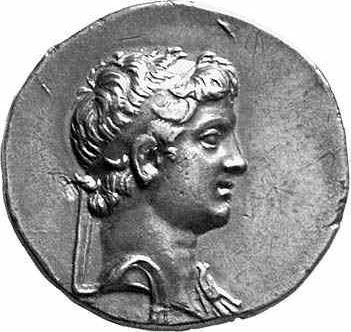 There was a shortage of funds for military pay and Tiberius wanted to integrate Archelaus’ kingdom into a Roman province. He was lured to Rome and accused of treason, but died before the trial. Cappadocia became a Roman province and his widow with her family returned to Pontus.